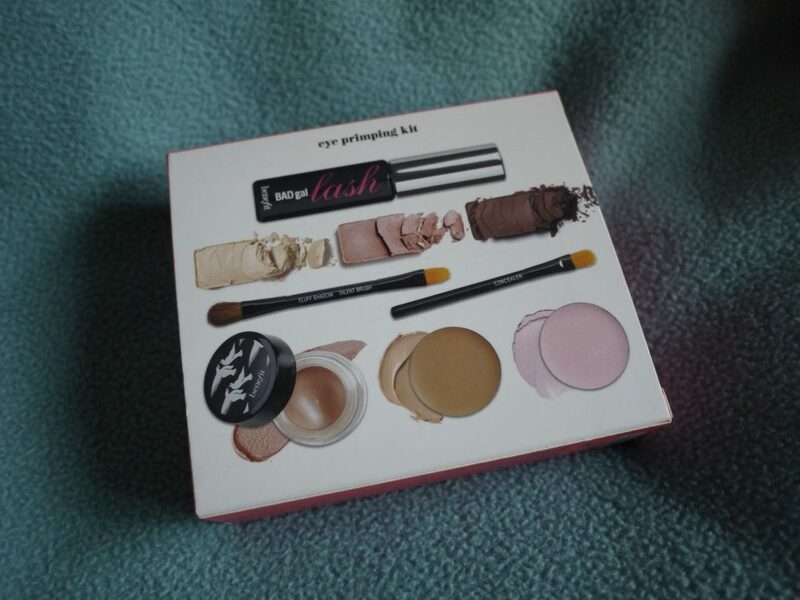 I got this kit as part of my Christmas presents from my Mum and Dad, it’s described as an eye “primping” kit, and basically contains everything you need to create a very natural eye look. 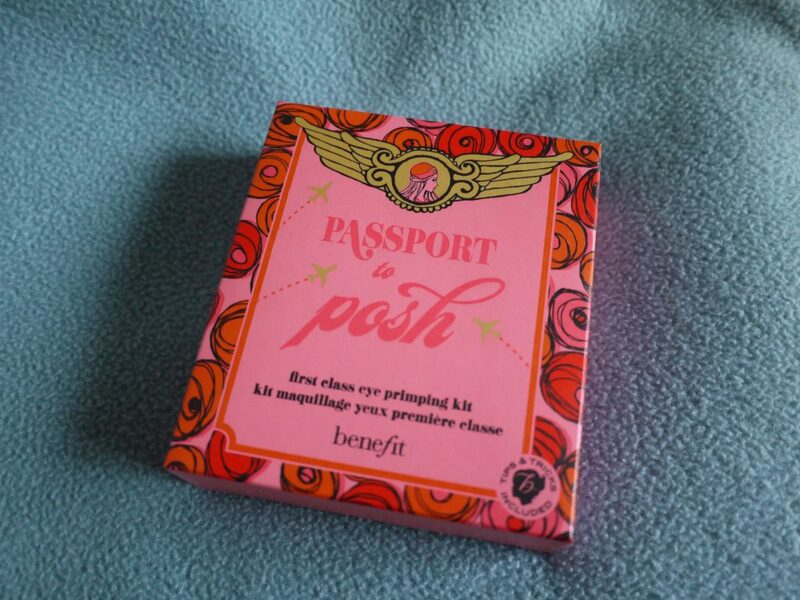 The packaging is awesome as usual – I’ve come to expect amazing looking products from Benefit! On to the review..
As you can see you get a Bad Gal Lash, 3 neutral eyeshadows, a creaseless cream eye shadow, bo-ing concealer and eye bright. 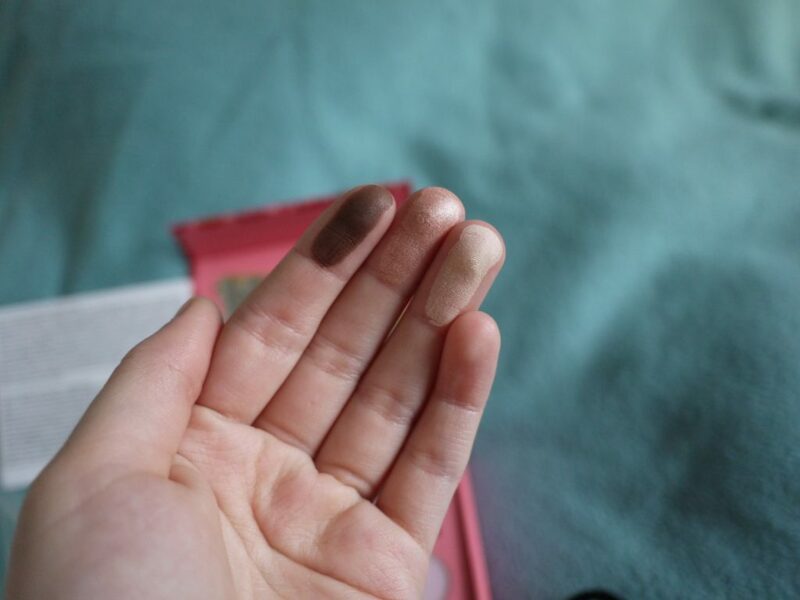 I love the 3 eyeshadows, very pigmented, with little fallout, and they’re in such wearable neutral colours! 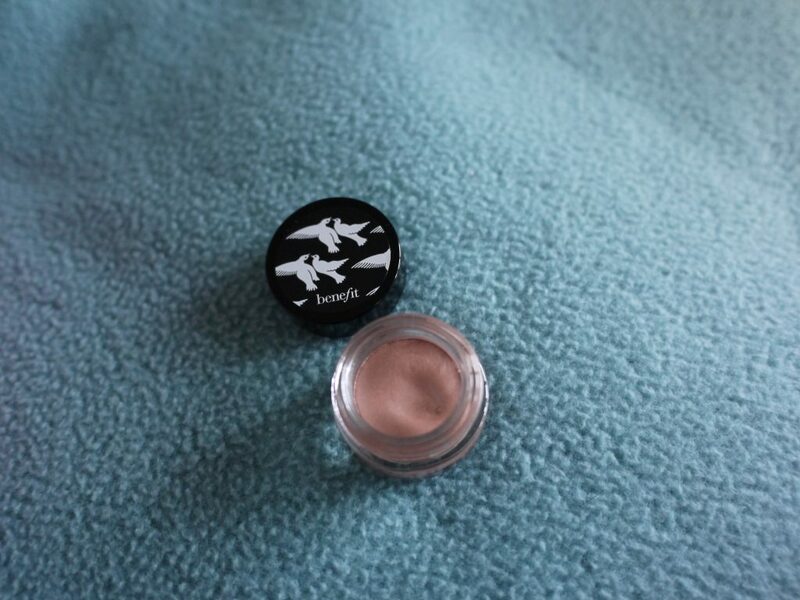 I’m also a huge fan of the cream eyeshadow, which would work well as a base, and on it’s own. 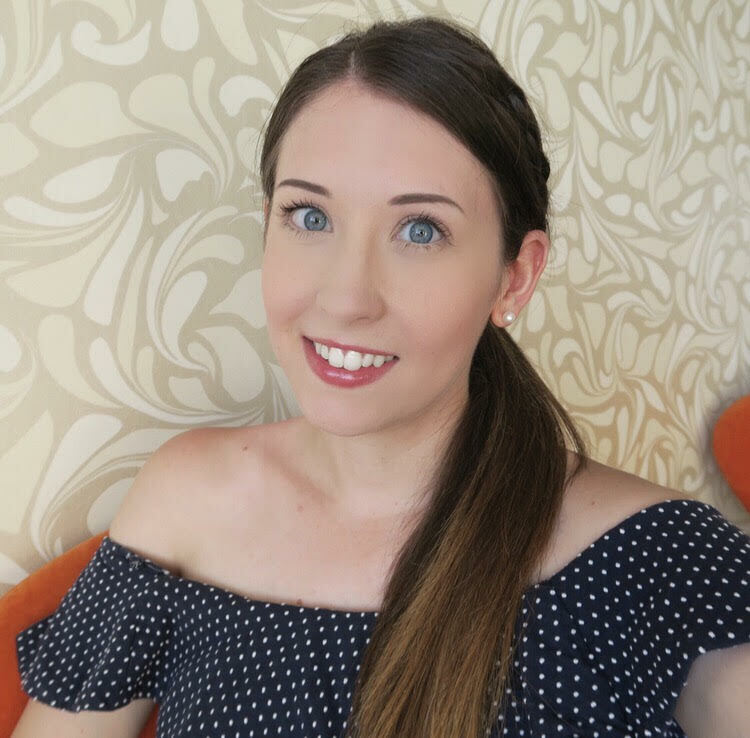 The bo-ing concealer is in shade medium, which is slightly too dark for my skin tone at the moment, but will probably come into use in the summer time! I like the fact that they have also included brushes in this kit – the concealer and talent brushes are a bit hard to use, but I found the fluff brush quite effective! 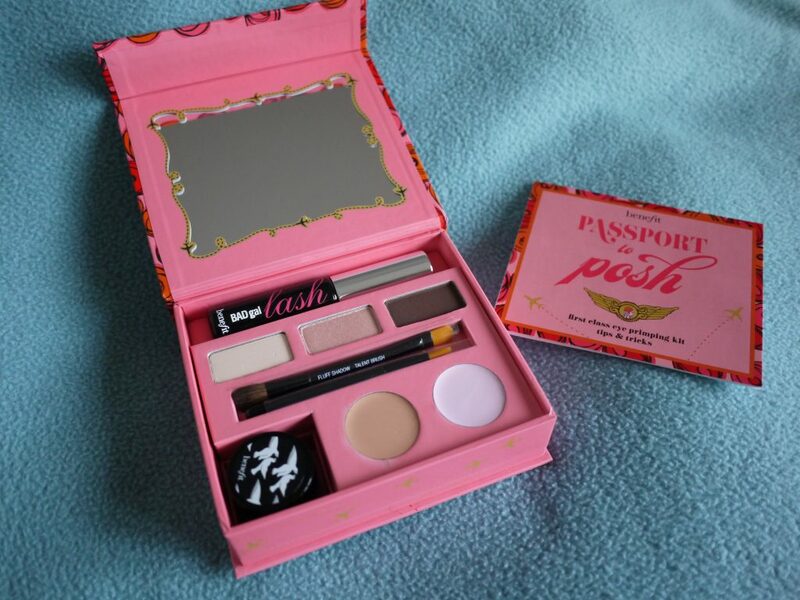 All in all a nifty little kit with some lovely products included, hats off to you Benefit!